Tasty night out kebabYou will be served by guys who know how to make a perfect kebab.We enjoyed the tasty meat and fresh salad. 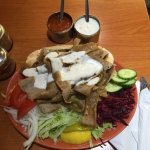 Had the chicken donner, it was great. Tasty meat and to be honest the salad on top was spot on too. Nice red cabbage, picked peppers etc. Didn't have the usual horrid morning after feeling either! 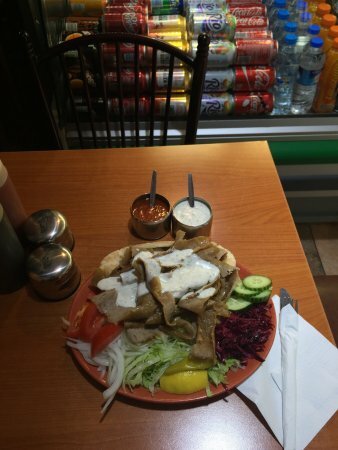 You will be served by guys who know how to make a perfect kebab. 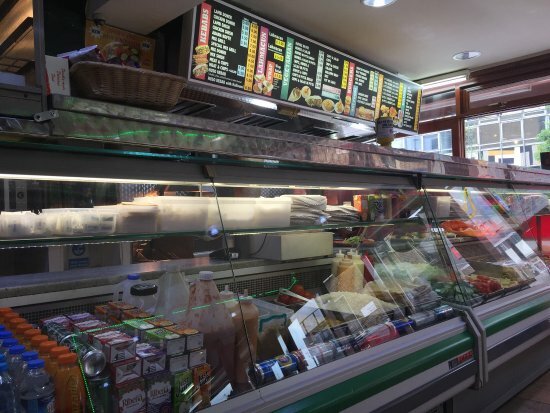 The chicken Döner wrap is recommended however all the food looks top quality. Very good value for money, too. We accidentally visited to this place and had the best food. This place is clean and tidy and also friendly staff. 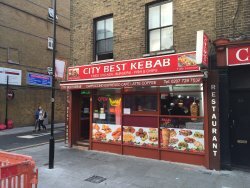 Worst kebab shop in southern England. They all admitted to beating their wives and tried to sell me raw meat. Awful service. Great falafel. To the one that never smiles - we know your secret. 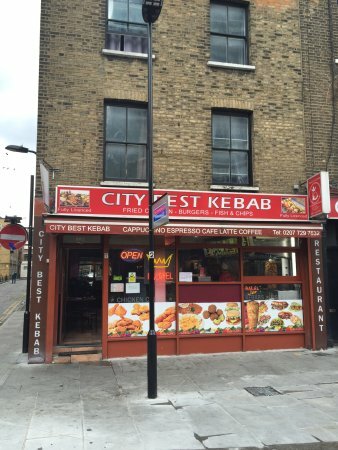 Don;t be put off by the tacky name.This is no cheapo kebab shop - it's a proper Turkish grill house. We had a delicious meal for a ridiculously cheap price - in an area where prices in 'trendy' establishments can be over inflated. popped in here as we only had time for a quick bite before going to a comedy show. 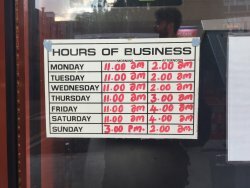 Fast service, great kebab. In a city of so many options, this place is a disgrace! 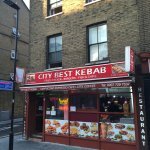 Get quick answers from City Best Kebab staff and past visitors.